In February of 2017, You Belong Here: Reimagining the Blanton opens at the Blanton. There is so much that we are excited to share in this new presentation of our collection. I’m delighted to introduce some very important recent acquisitions that we will be exhibiting for the first time. Here’s a sneak peek at one of the stars of the installation—that we are still raising funds to be able to purchase—a work I have dreamed about bringing to the Blanton since I arrived here as the curator of modern and contemporary art nearly four years ago. This formidable ten-foot portrait by artist Sonya Clark depicts Madam C.J. Walker. Just who was she? Born shortly after the end of slavery, Madam Walker (born Sarah Breedlove) is said to be the nation’s first self-made female millionaire. Orphaned at age seven and widowed with a daughter at twenty, Walker earned fortune and fame by building a prosperous beauty empire, best known for its hair care products. As a businesswoman, she employed thousands of African-American women who would have otherwise been relegated to low-paying jobs. I first learned about Madam Walker in a history class in college and remember feeling surprised I hadn’t already learned about this trailblazing entrepreneur and social activist. How had the fact that the first self-made female millionaire was an African-American woman escaped me until then? How was she not in the encyclopedias that I devoured in the basement as a kid or in my American history class in high school? The year I graduated from college, Madam Walker appeared on a postage stamp, in a 1912 photo by African-American photographer Addison Scurlock. An avid letter writer, I still remember buying sheets of the stamps. 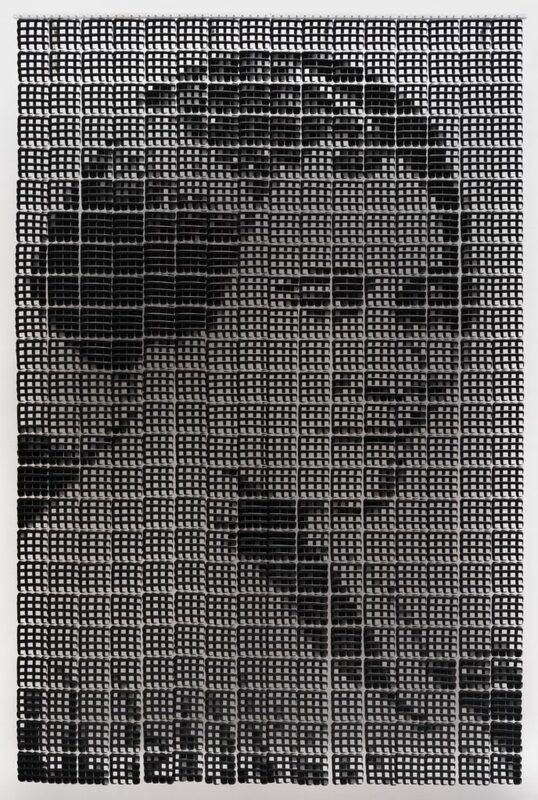 Ten years later, I came across Sonya Clark’s portrait of Madam Walker in an exhibition at the Museum of Art and Design in New York. Clark used the same photo as the basis for her portrait, made entirely out of hair combs. The first time I saw this work was one of those stop-you-in-your-tracks art experiences: finally, Walker had been commemorated at a scale befitting her larger-than-life accomplishments and in a lasting way. Now, nearly ten years later, I feel so fortunate to have the chance to offer a similar experience to the thousands of visitors who come to the Blanton each year. And don’t forget to keep an eye out for Madam C.J. 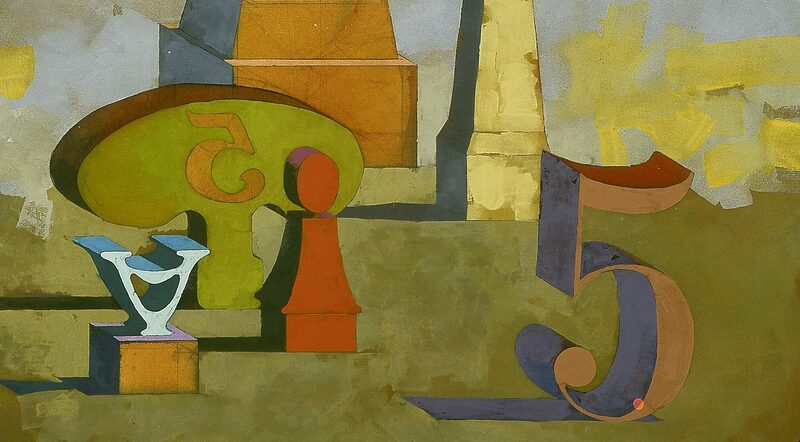 Walker on view upstairs at the Blanton beginning in February…you can’t miss it! Veronica Roberts is the Curator of Modern and Contemporary Art at the Blanton. Clark received her BA in psychology from Amherst College in 1989 and her BFA from the Art Institute of Chicago in 1993: “My formal training as an artist began at the Art institute of Chicago with Ann Wilson, Nick Cave, and Joan Livingstone, and cemented the artful connections between hair, craft, and design.” In 1995, she obtained an MFA from the Cranbrook Academy of Art. Her work has been exhibited in over 300 museums and galleries throughout the world. 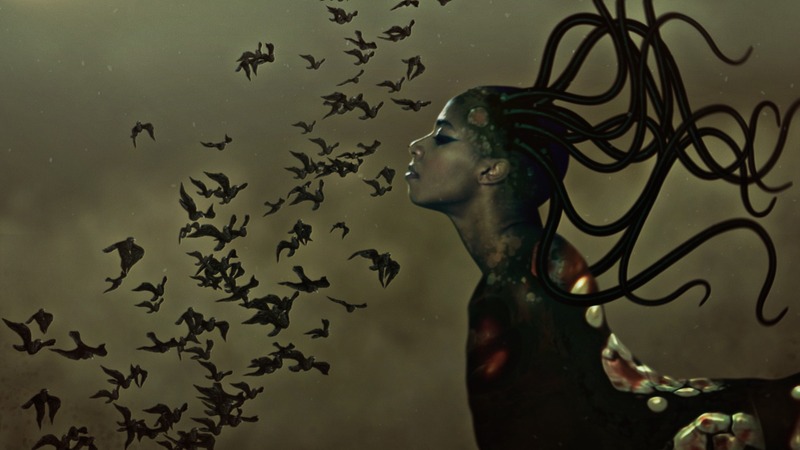 She has received many prestigious awards, residencies, and fellowships including a Pollock-Krasner Award, a Rockefeller Foundation Residency in Italy, a Red Gate Residency in China, a Wisconsin Art Board Fellowship, and a Smithsonian Artist Research Fellowship, and, most recently, she received the two awards at ArtPrize 2014. Currently, she is the chair of the Department of Craft/Material Studies at Virginia Commonwealth University (VCU) in Richmond. Thank you for sharing the stories associated with the artwork , the artist and your personal discovery of the piece and it’s subject. Looking forward to seeing it in person. Hope you have an enormous community celebration and that the artist attends. Will donate toward the purchase as soon as my budget recovers from supporting Bernie and Jill!! Thank you for having Madam C.J. Walker artwork. It spoke volumes to me and my friends and we were completely struck by how magnificent it is. I hope that the Blanton is able to buy it. That’s for buying such inclusion art. Hi Lori, thank you so much for this thoughtful comment! We do own this artwork and are delighted to share this important work with the public. We hope you can come back again soon!